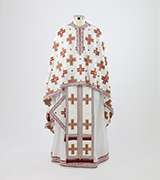 Pearl White metallic woven priest's with Icons. 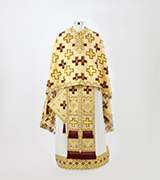 Burgundy and gold metallic woven priest's with Icons. 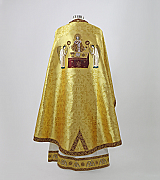 Gold metallic woven priest's with Icons. 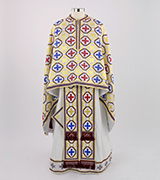 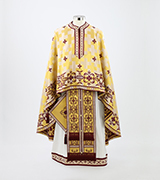 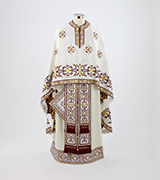 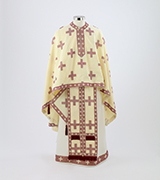 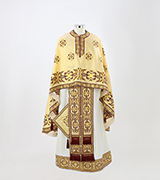 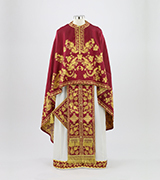 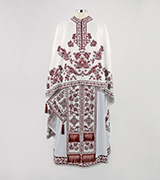 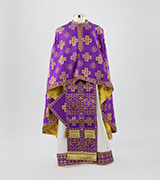 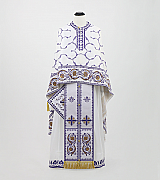 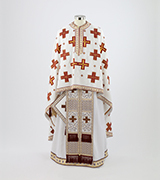 White woven priest's vestment with purple and gold accents. 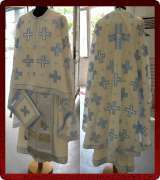 Ready made. 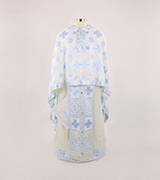 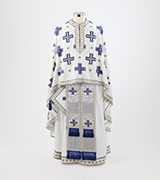 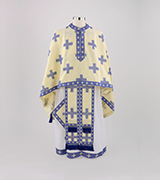 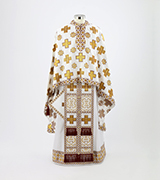 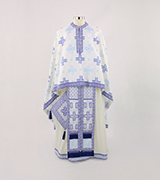 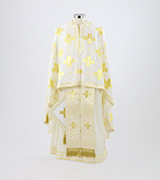 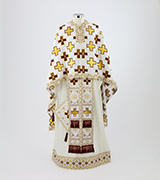 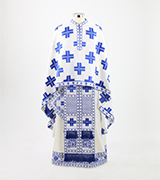 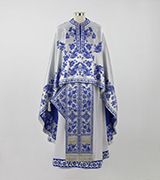 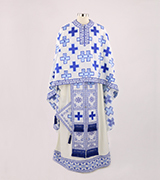 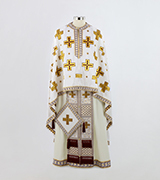 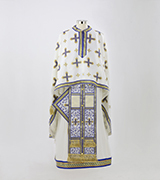 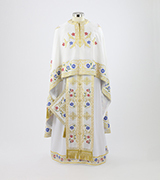 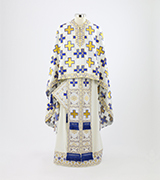 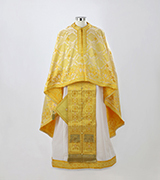 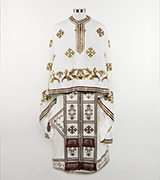 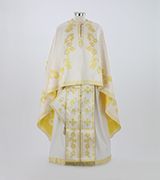 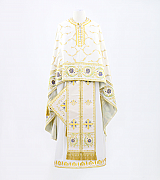 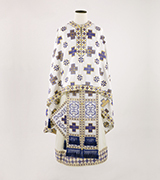 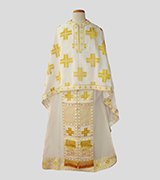 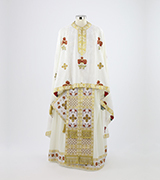 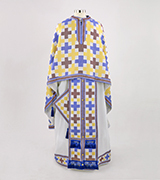 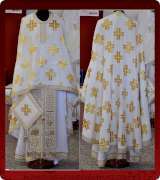 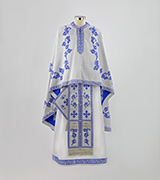 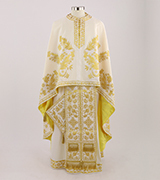 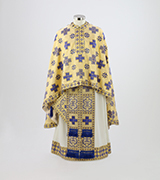 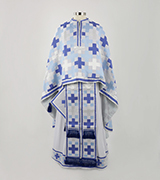 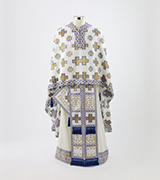 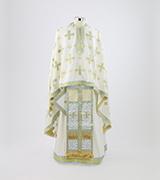 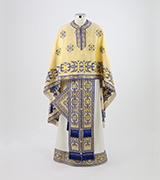 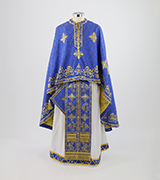 White woven priest's vestment with blue and gold accents. 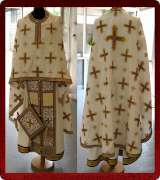 Ready made. 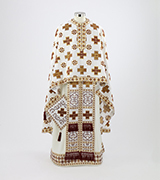 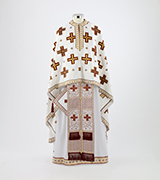 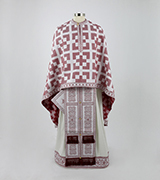 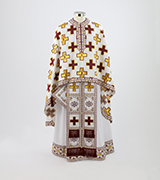 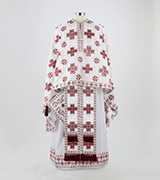 Gold and burgundy woven preist's vestment with white sticharion. 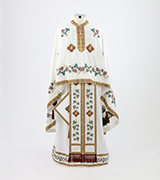 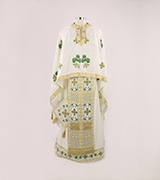 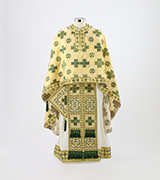 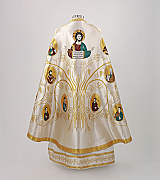 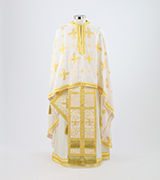 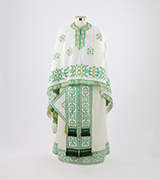 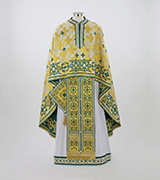 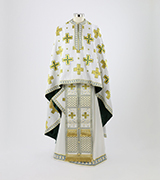 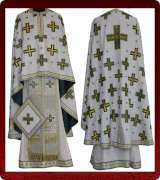 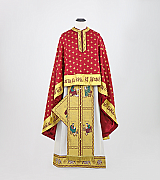 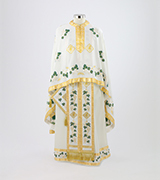 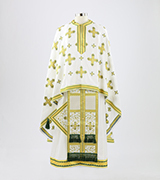 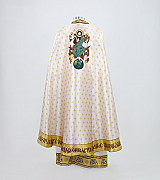 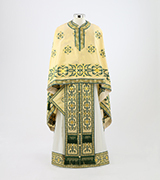 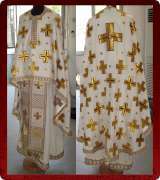 White and gold woven priest's vestment with emerald accents.